Infinix mobile recently introduced a new device which is an upgrade to Infinix Hot 4. The new device known as INFINIX HOT 4 PRO is coming with a better camera feature. This time, with a 13 megapixel autofocus camera with LED flash rear camera and 5 megapixel camera front camera. The device powered by 4,000 mAh battery with a built in fast changing feature. 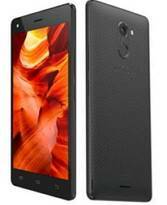 It is comes with an internal storage capacity of 16 GB and powered by a Quad-Core 1.3 GHz Mediatek MT6580 Processor. What do you think of the new smartphone Specs and does it worth such price, Let hear from you..